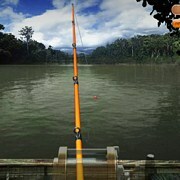 Description: This a fun fishing sim adventure! 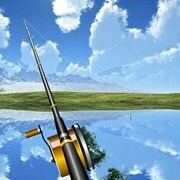 You are placed on a map with all kinds of awesome lakes to fish at. 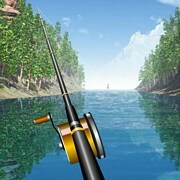 The only problem is you just cant fish all the lakes, you have to earn your way through this game and unlock them. 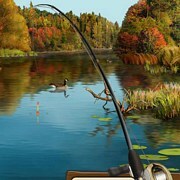 Leveling up and upgrading your equipment is a must. 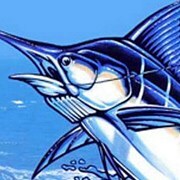 You have assigned quests you must complete to get paid along with unloading (Selling) fish you catch at the aquarium. This is a very fun one to play. One of my personal favorites on this website! 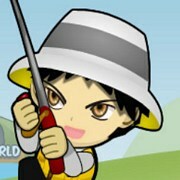 Instruction: Be sure to go through and pay attention to the in-game tutorial to learn how to play. 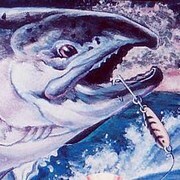 TIP: Make sure your lure sinks deep before reeling in. 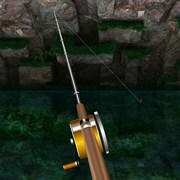 Usually the deep water fish are biting! 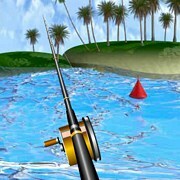 Game Controls: Use your Mouse to select items and control fishing pole.